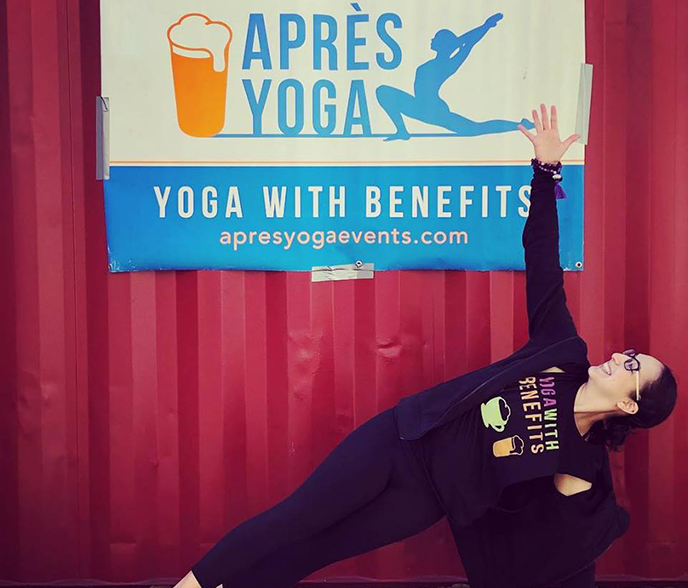 Join Après Yoga teacher Sarah Antonucci for the next edition of Breathe, Bend & Brew at Dry Dock Brewing Company – SOUTH DOCK. You will practice yoga in a private room inside the brewery and then enjoy a tasty pint of Dry Dock’s finest brew in the taproom after class, or Après Yoga. The Dry Dock event occurs bi-weekly every other Tuesday night so be sure to save the date for next time! Registration is $17 online and $20 drop-in at the brewery, each ticket redeemable for Yoga and 1 pint of beer.